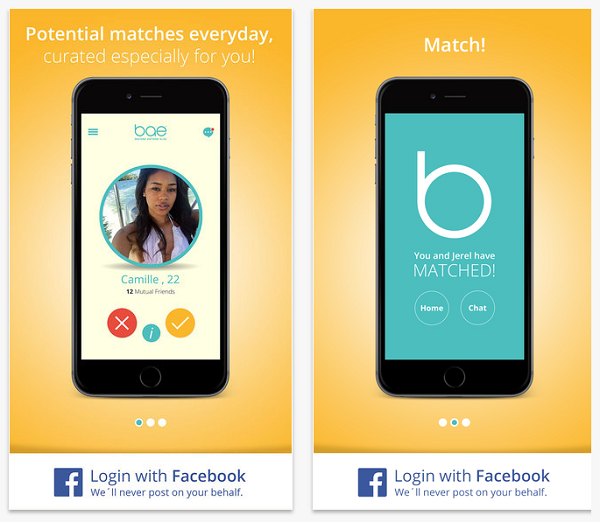 The BAE App reinvents online dating for black singles. Baeapp.co have developed a free dating app for iPhone and Android users which connects black singles looking to date, find love, or meet for events using their mobile phones. 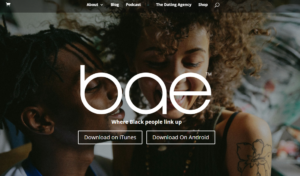 Our review of the BAE APP (Before Anyone Else) found an innovative online dating service which makes it so simple for black women and black men to find their romantic match and meet new exciting people using their mobile or tablet. 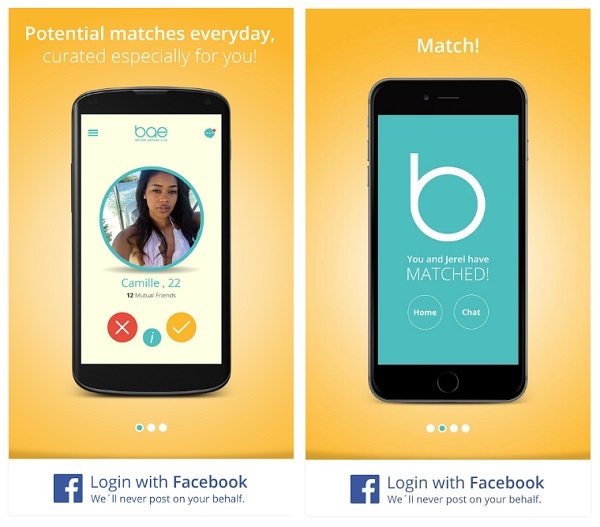 Download of the BAE dating app is completely free so, read our review and decide. It’s not just the easy intuitive navigation and design of the BAE App which make it a sure plus for Android and iPhone users, it’s the concept of the application which make it stand out. This black dating app is focused on creating experiences which allow members to easily find love, a relationship, a partner in life, or just to date online. It allows you to meet black people in your area which are cool, fun, and like minded. 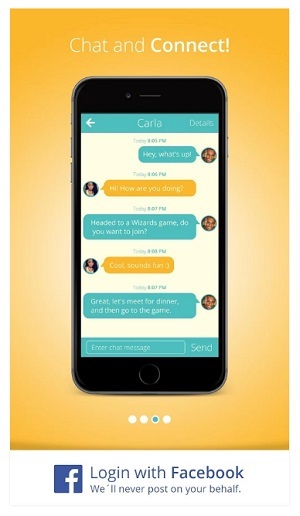 Once a match is made (when two users like each other), you have free access to unlimited chat. The BAE Dating App is one of the fastest growing black singles dating communities online and is easy to use on both Android and iPhone. This app makes meeting your romantic match through your mobile or tablet just work. The app offers a Facebook login option and utilizes many aspects of social dating in its profile creation and use. The BAE mobile site does not offer an option to register and login. It is however written in HTML5 and is completely responsive to any mobile device, meaning that it will work on Blackberry, Windows Phone, Android and iPhone, iPad and all tablets. It has a shop option which isn’t yet functional, but you would be able to learn more about BAE and how and why it was created. To visit BAE Mobile go to Baeapp.co from any browser on your phone or tablet. You’ll get plenty of additional info about the BAE dating app too. Get potential matches delivered to you everyday. Like someone in order to get a match. Pass on profiles in order to dismiss. Use unlimited chat – if a match is made. If you have an Android or iPhone and you’re looking to meet black people from your community you should download the BAE App. It’s a dating app which is new, fun, social, and innovative for any single black woman or man who are interested in love, a relationship, or just dating online through their mobile. The BAE mobile dating app is free to use and download, it is safe, and is the place for one of the growing black singles communities online. Our advice is: if you are single and are into black dating in your local town or city, then you really need this singles dating app. Download the BAE App to your Android or iPhone, you’ll thank us for it later. My App crashes from time to time, what do I do? In order to stabilize your Bae app performance we suggest you delete the app completely from your mobile phone and then download it again and install. Is Facebook a must if I want to join? Yes. The app uses Facebook to authenticate users. This is the preferred way they make sure members on the app are who they say they are.